Put simply, a graphic overlay panel generally begins as a clear piece of MacDermid Autotype Polyester or Polycarbonate material. Options are limitless, and by using a variety of textured materials the finished graphic panel can vary in look and feel. The materials we use and the embellishment of a graphic overlay panel can vary the appearence significantly, so your finished product could have a textured finish, something that looks like aluminium, or even a rubbery finish. 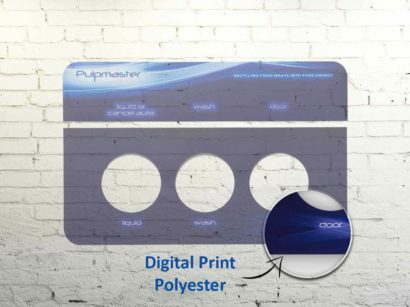 Once you have the selected the base material for the job, we then screen or digitally reverse print (second surface) onto the material, this protects the ink from wear and scratching, making an overlay panel long-lasting. They’re user-friendly, functional and easy to apply. 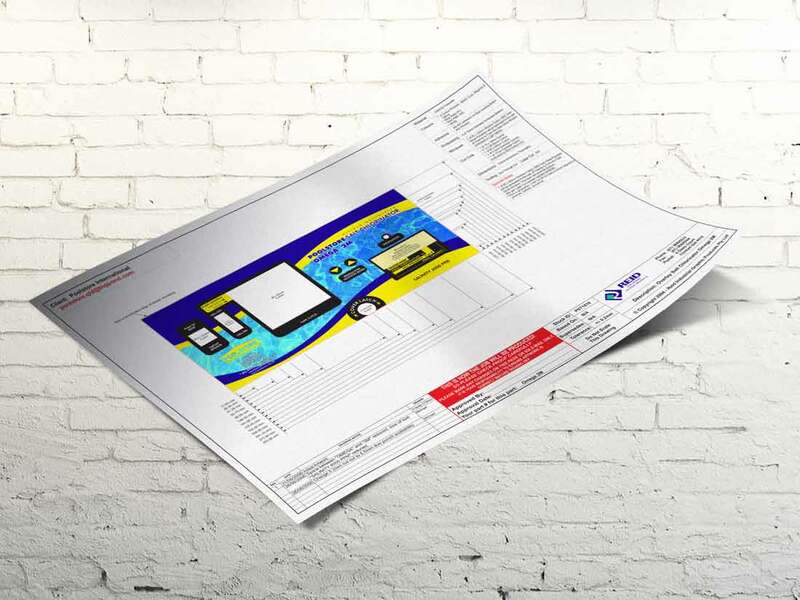 For your next graphic overlay project, contact one of our technical team members to get an overview of all the possibilities available at Reid Industrial Graphic Products. 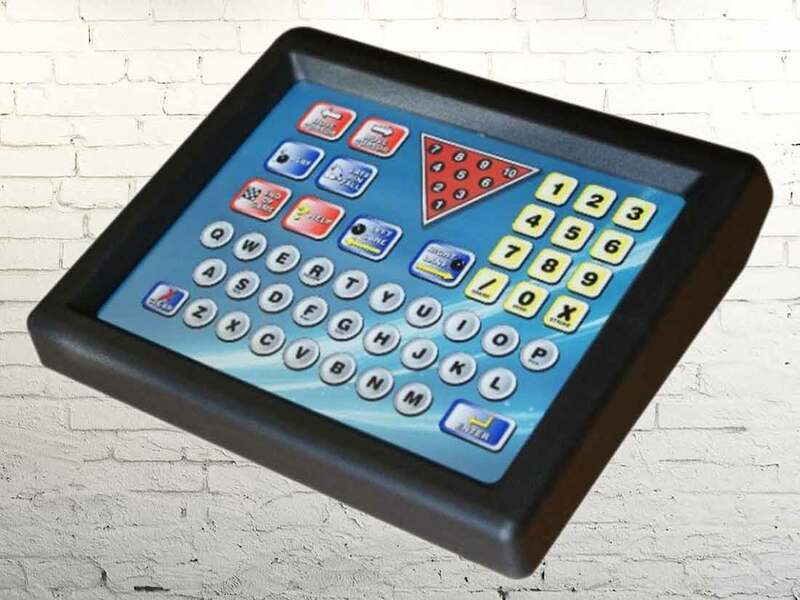 One of the key features of a Reid Industrial overlay panel is the unlimited graphic design options. 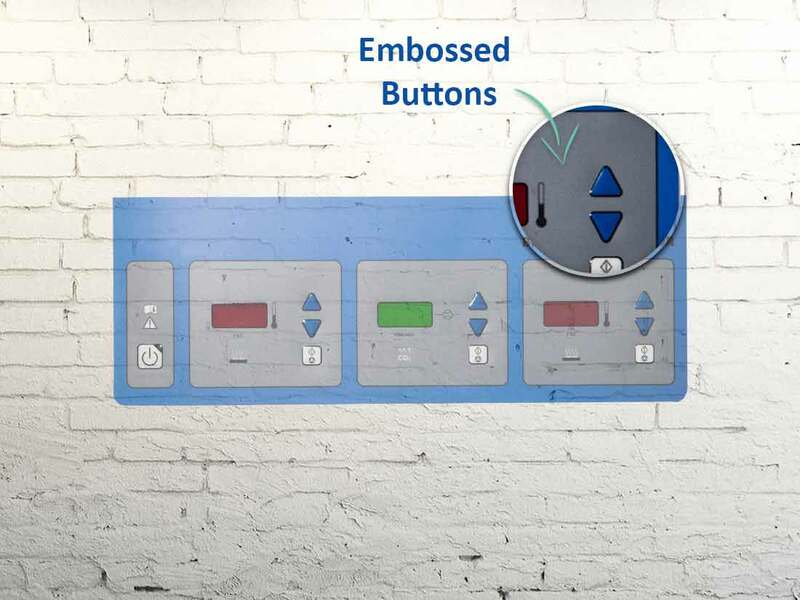 We have all your enhancement possibilities covered, embossed buttons and graphics, selective raised printing, gloss lacquers printed with clear, transparent or dead front colours for special effects for Led windows, LCD and LED displays. Finished products are die or laser cut to precise engineering tolerances of +-0.2mm. By printing coloured filters behind translucent symbols or text, the printing process can be used to create special effects such as the symbols on the dash or speedometer of a vehicle or a warning symbol to be seen only when the graphic panel is illuminated. 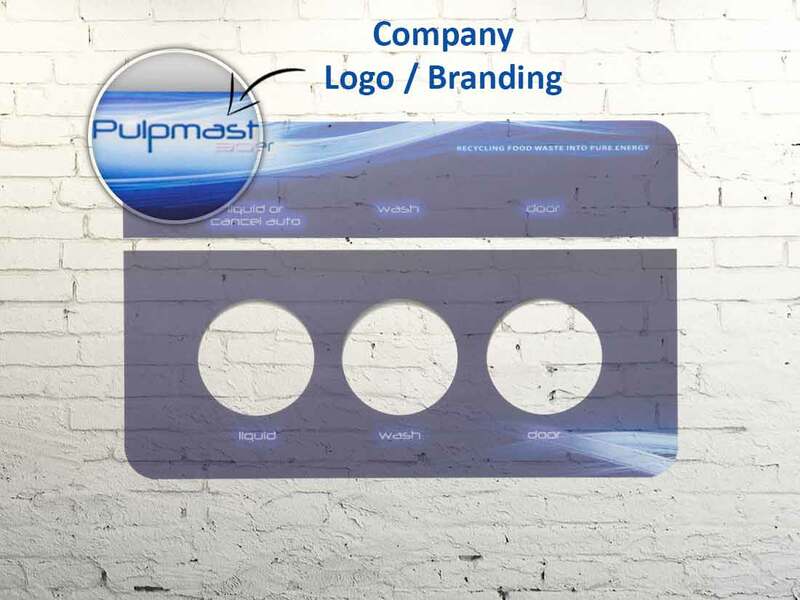 For example, the automotive industry is a great example of graphic overlay panels utilising dead front graphics in conjunction with lighting displays. 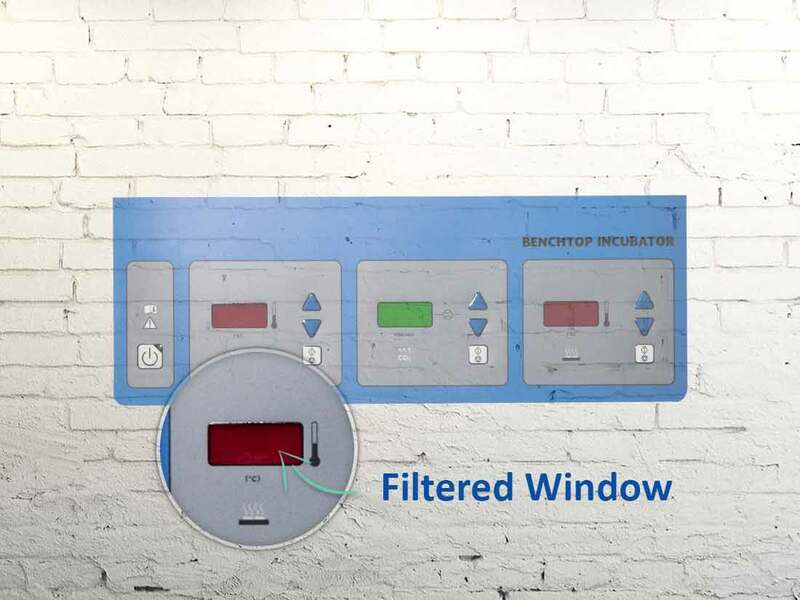 Overlay panels are used across many industries including air conditioning, power management, medical equipment and hospitality equipment. 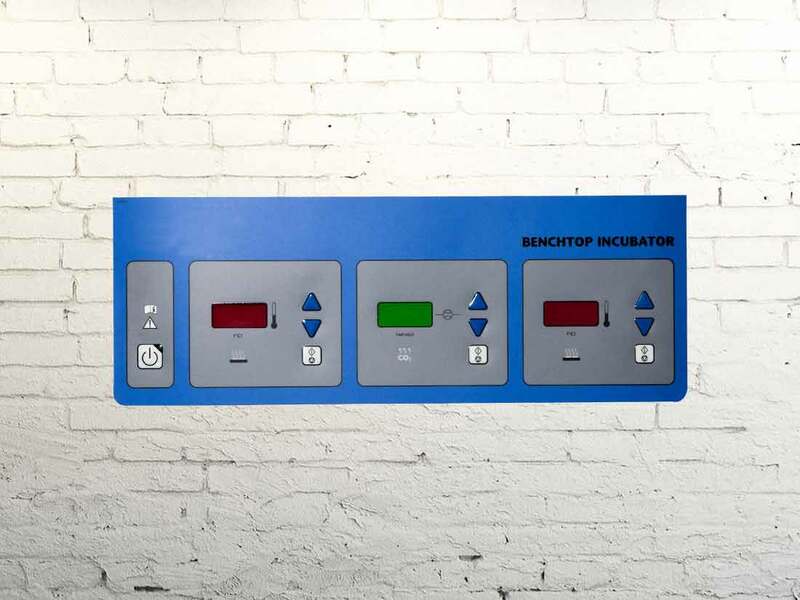 With careful selection of materials and utilising the highest standard of manufacturing, a Reid Industrial overlay panel will stand the test of time in all manufacturing environments. At Reid Industrial we offer various embossing options for overlay panels. 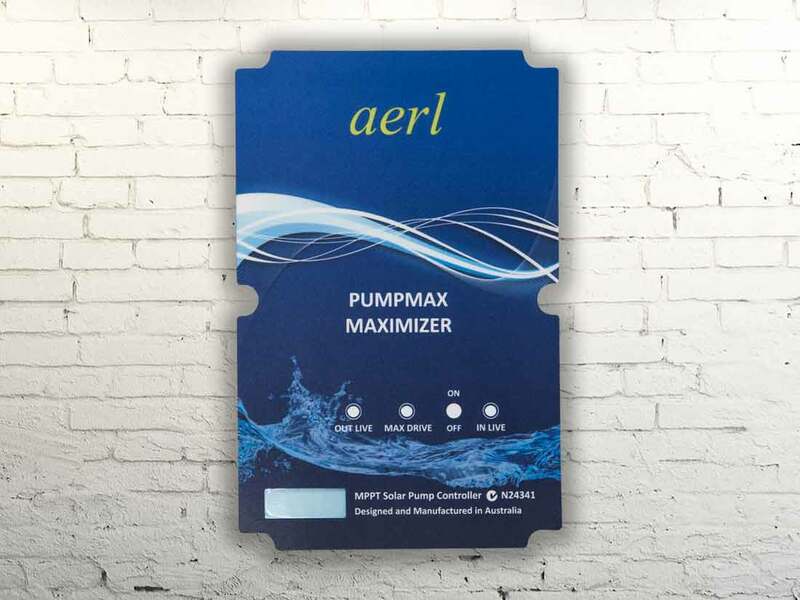 Our thermal embossing technology allows us to emboss intricate designs without cracking on the crease line or harming the base material. Some metal tooling embossing techniques can cause cracking to occur at the crease line with the result being premature wear and moisture ingress, and consequently a shorter life expectancy of button flexibility. 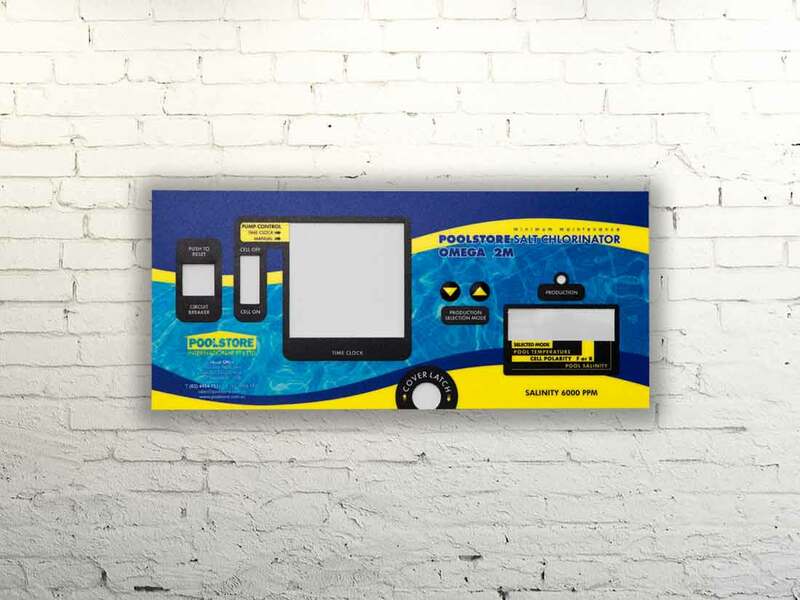 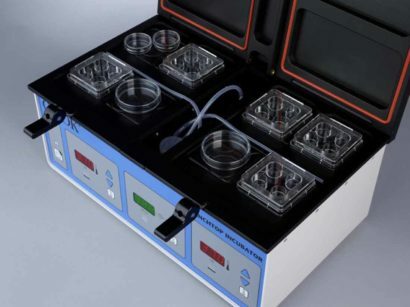 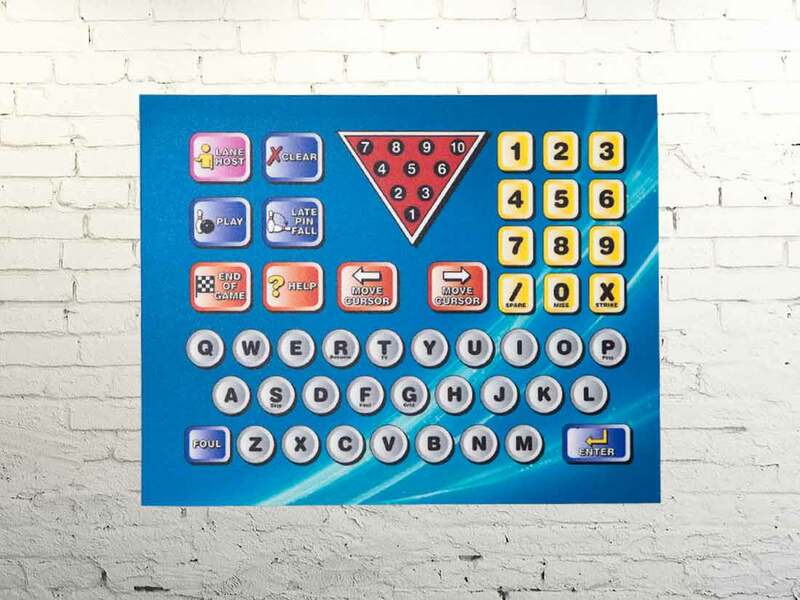 Reid Industrial Graphic Products also offers a range of custom Touchscreen Protectors, manufactured from durable polyester with easy peel adhesive. 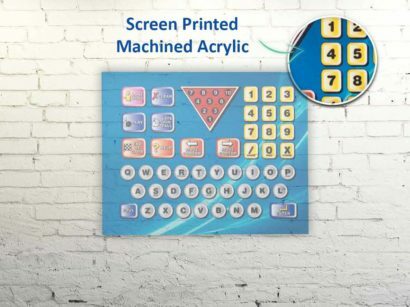 Read more about touchscreen protectors here. 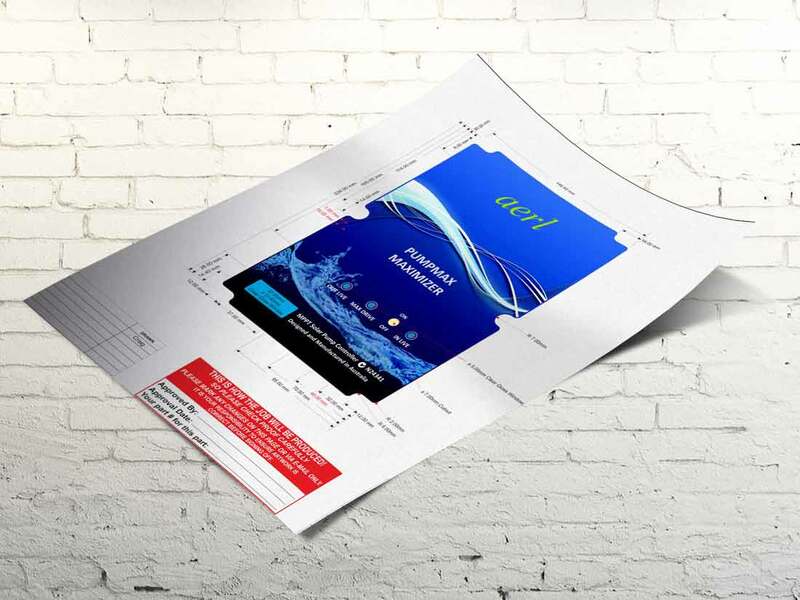 Our customer was originally purchasing graphic overlays from Asia, however due to inconsistencies in colour from batch to batch; they decided that the only way forward was to find a local supplier with the ability to have consistency of product and faster reaction timeframes for design changes. 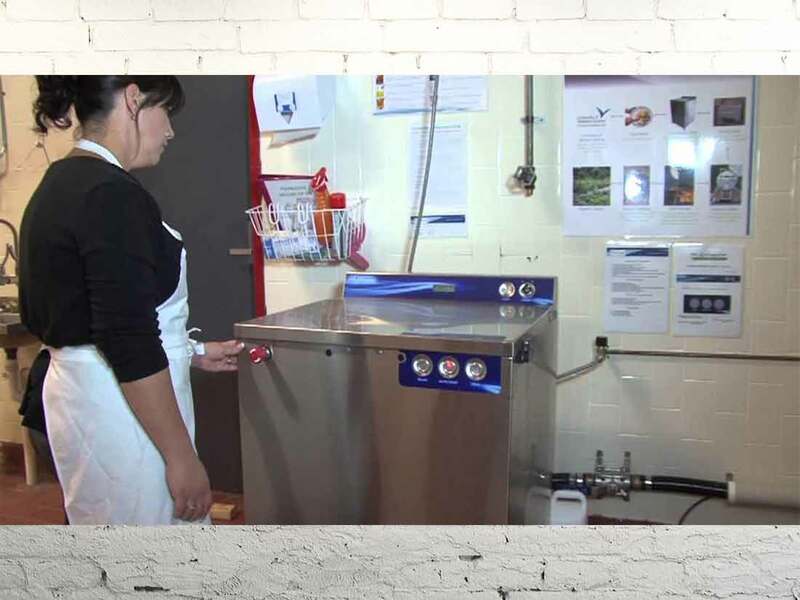 Reid Industrial has fulfilled these requirements and is proud to provide local support and Australian made products to this customer. 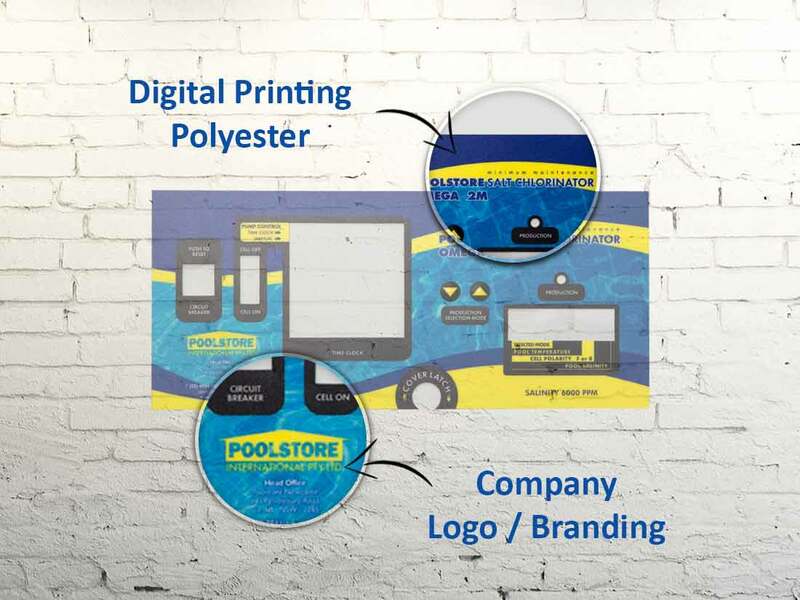 Our customer Poolstore has been a supplier of pool and spa equipment since 1986, their strong desire to support Australian manufacturing has enabled them to rapidly evolve their designs and stay at the forefront of the pool and spa industry. 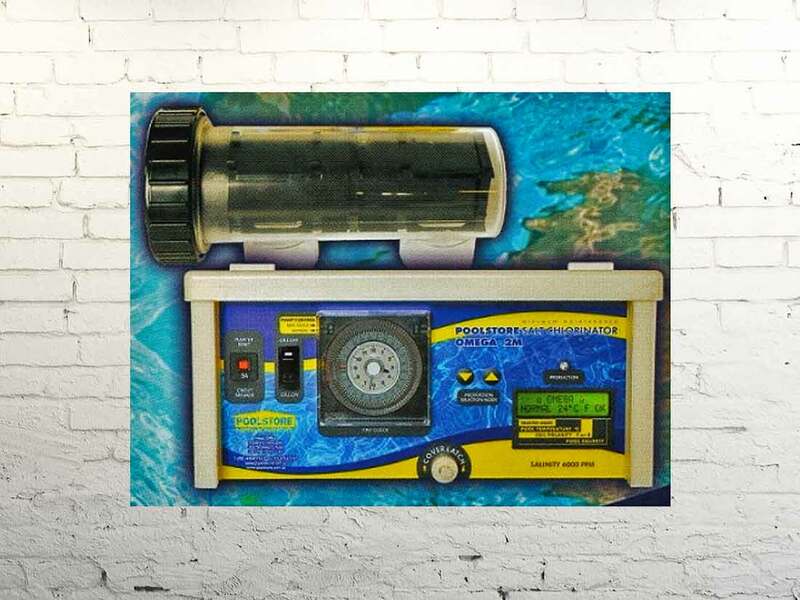 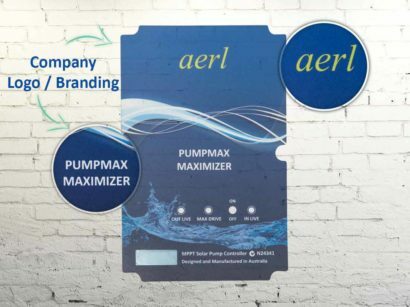 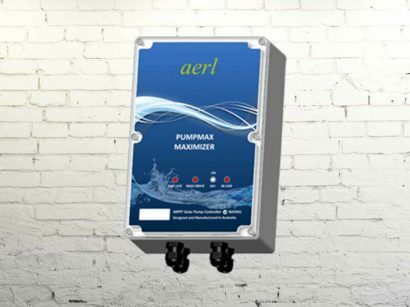 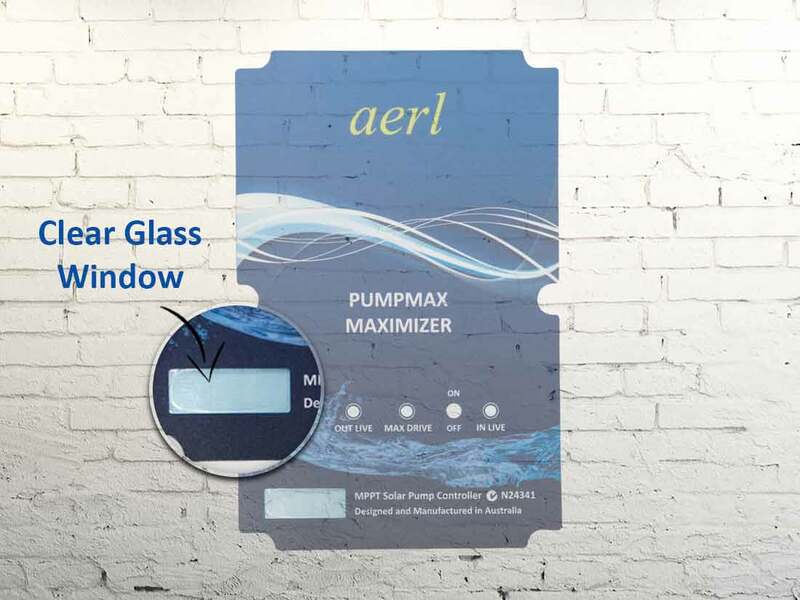 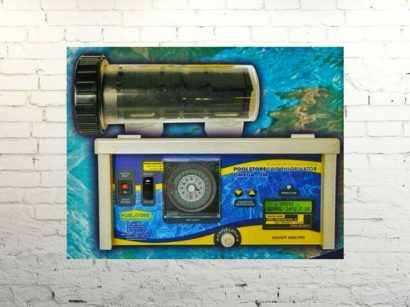 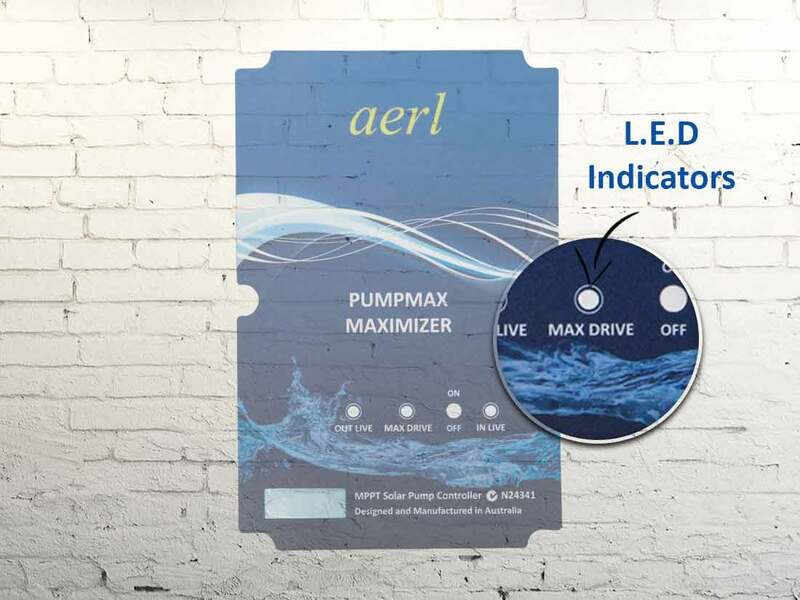 The Solar Pump Controller graphic overlay is the control interface for a pool chlorinator. 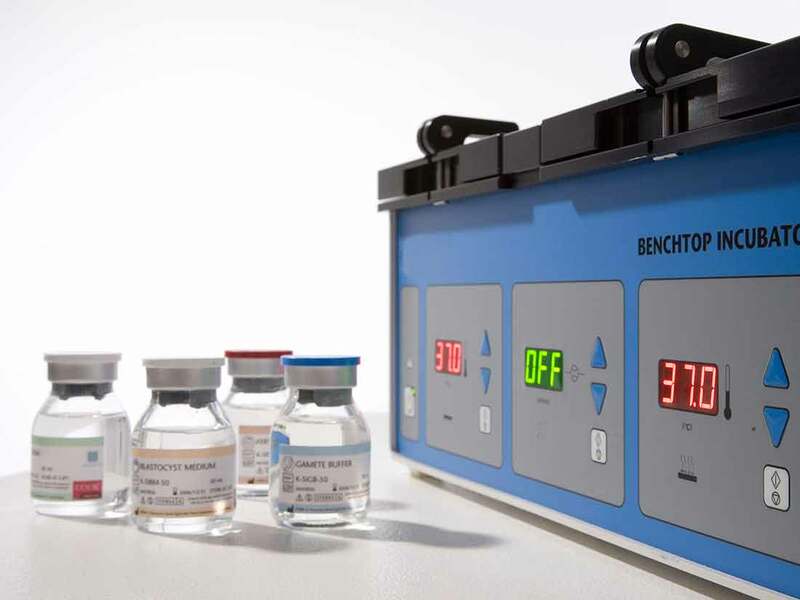 The panel needed to withstand external environmental elements and also potentially be exposed to pool chemicals. By utilising Reid Industrials digital printing technology and MacDermid Autotype Autotex XE Polyester film, all requirements were achieved. 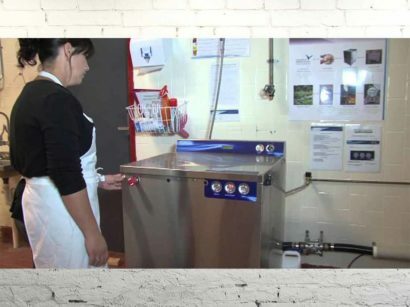 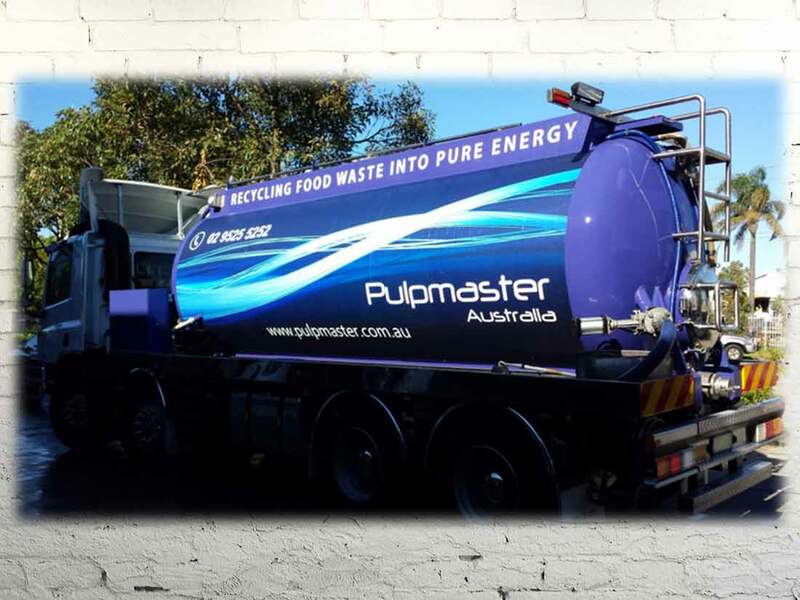 The Pulpmaster 5000 Food Waste System overlay is the control panel on a food waste recycling machine. Our customer Pulpmaster offer cutting edge waste recycling solutions to commercial food businesses. 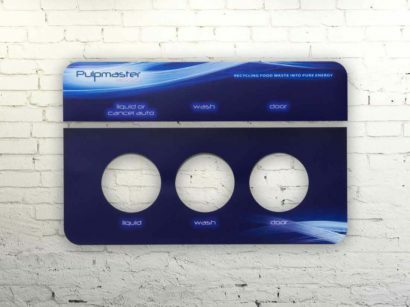 Pulpmaster presented Reid with a project brief to design and manufacture a set of graphic overlays that utilised their intricate brand design whilst withstanding the rigorous demands of the commercial food industry. 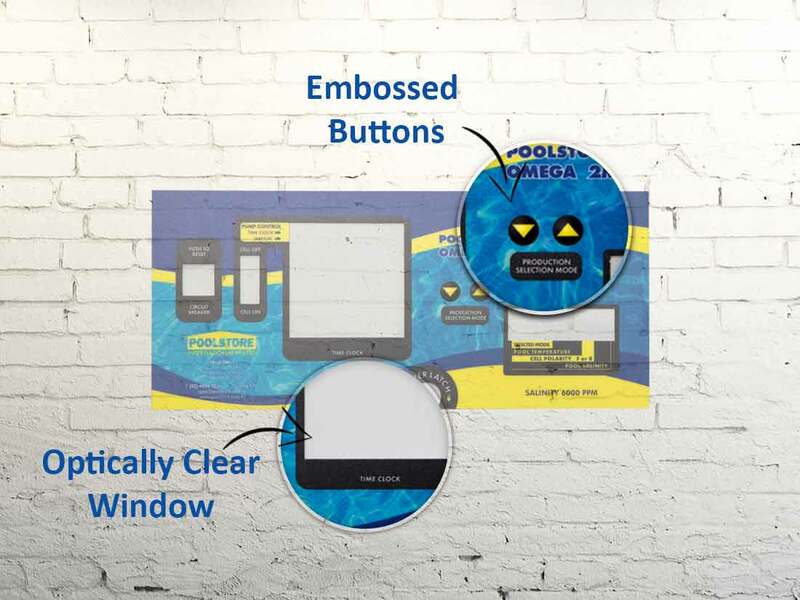 By utilising Reid’s digital print technologies and MacDermid Autotype Polyester film, graphic panels were produced to the highest possible photographic image quality and backed with 3M high performance adhesive. 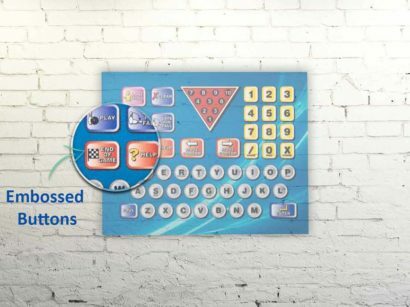 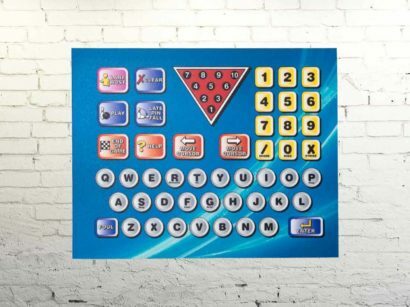 An elegantly designed graphic overlay digitally printed with full colour graphics and embellished with embossed buttons. 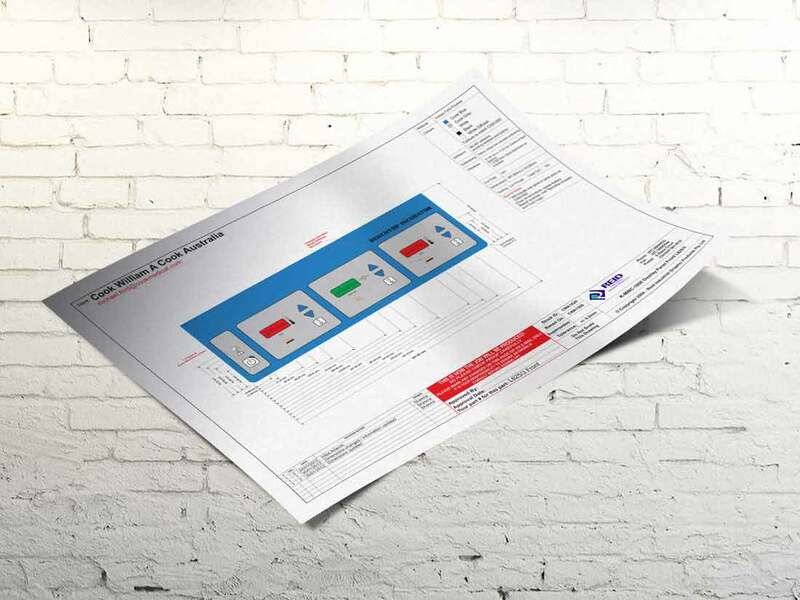 Our customer required subtle tones on the overlay to capture the end user experience for their product being produced for the health and lifestyle industries. 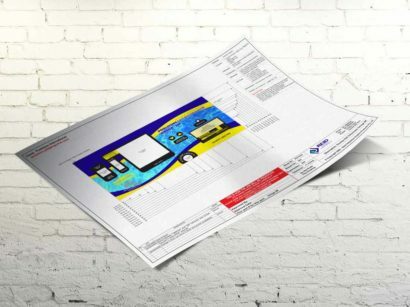 To achieve an anti-glare appearance the material of choice was MacDermid Autotype EBA Polyester. 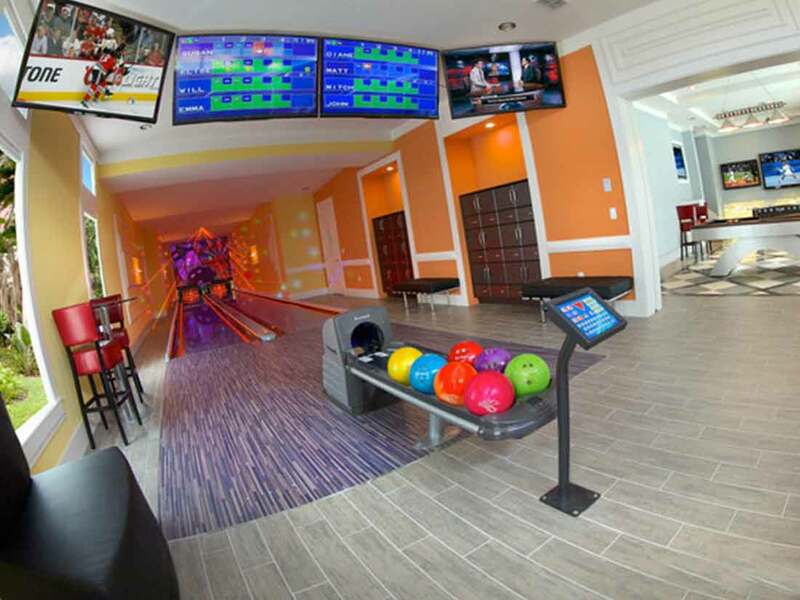 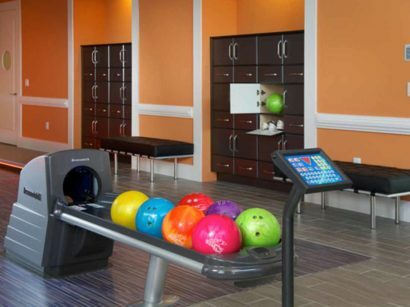 The Ten Pin Bowling overlay panel is the console interface on a ten pin bowling machine used in commercial and home applications. 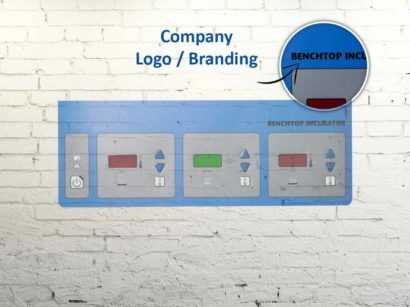 The project brief was to create a graphic overlay with colour enhancement capabilities that would allow all colours to glow under certain lighting conditions, whilst maintaining its tactile characteristics. 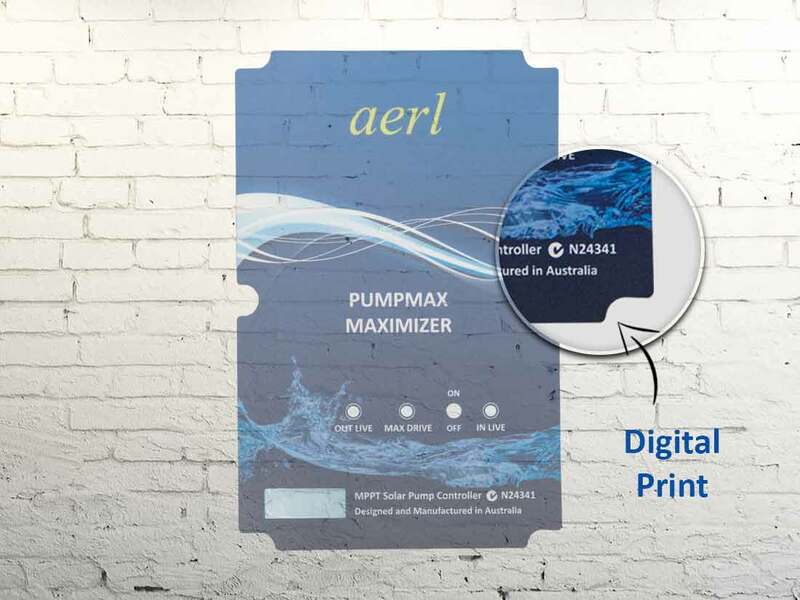 The desired effect was achieved by blending optical brighteners into the ink and printing onto MacDermid Autotype F200 polyester film.